Well, another week has passed and my craft room has changed significantly, but sadly not in any way conducive to crafting. It is likely to be many weeks before any crafting is done in there. The furniture and boxes arrived early last Wednesday, closely followed by Margaret who spent the next 5 days unpacking, unpacking and more unpacking. She is an absolute star. Monday morning she escaped leaving us to go to Ikea and spend money on bookcases and wardrobes. And a jazzy new fridge! Well if i don't finish this, you lovely peeps won't get to read it. 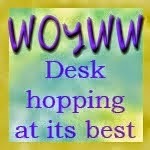 Do pop over and see some real crafty desks. 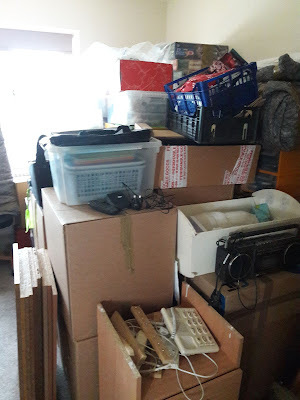 Thanks for visiting, and once again, I cannot promise to return your visit, not until we have exhausted our pile of boxes, but bless you for all your kind comments. 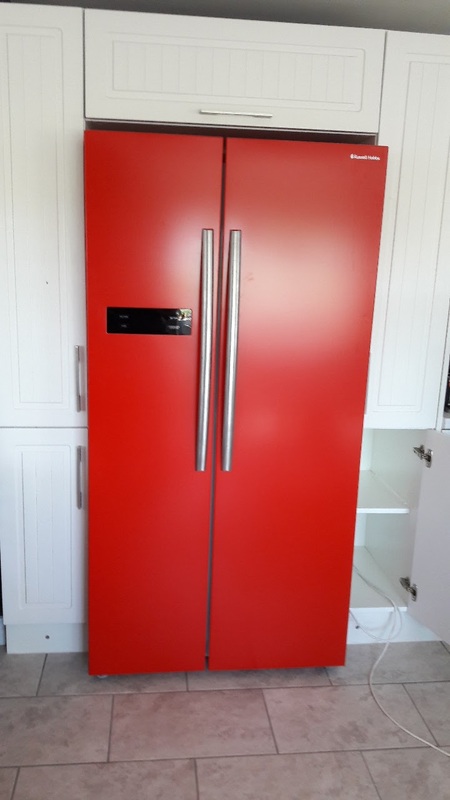 Oh my Chris what a fabulous white goods or should I say *RED* goods, fabulous colour scheme. I do sympathise with you having all your creative goodies packed away but it will be worth it in the long run and every day is taking you closer to the end of it all. Happy unpacking. Good morning both!!! Great! I see a saucepan on the cooker. What was your first meal? When we did our kitchen the other year I cooked boiled eggs!!! Ate them with the necessary soldiers! Your fridge freezer looks amazing. The two have really brightened up the light and dark grey. Take care. Enjoy unpacking more boxes. God bless. Friends like Margaret are worth more than gold! They're the sort who you can really depend on. 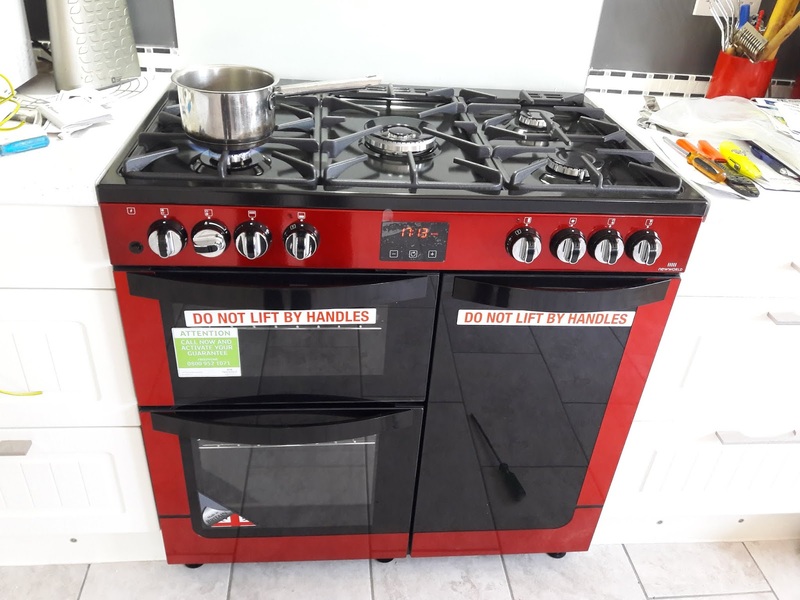 Must say, I do like your funky red cooker and fridge very much! My apologies for the late visit. A huge storm knocked out my electricity and internet about the time I began visiting. I finally gave up waiting for it to come back on and went to bed. I was just reading Margaret's blog post and think she must be a real star. The state of your crafting space will soon be up to par, I'm sure. And that kitchen is absolutely GORGEOUS now that you have the beautiful red appliances against the white cabinets. Happy WOYWW from #3.